Meet a “big/little” pair matched by Big Brothers Big Sisters of Greater Pittsburgh and learn how you can make a difference in a child’s life. This week, we’re joined by Big Sister Rhonda Baertsch and Little Sister Deanna, along with BBBS staff member Pam Slomiany. 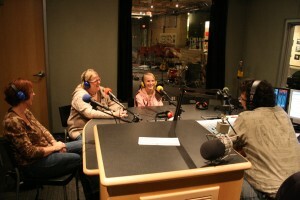 Listen to the segments as they appeared on The Saturday Light Brigade.